Zukowski Bresenhan & Sinexis a name to trust. Zukowski Bresenhan & Sinex aims to extend cost effective business solutions to its clients. The focused approach of the firm enables it to win things in favor of its clients. Every client of Zukowski Bresenhan & Sinex is looked after personally. The firm gears together litigation, arbitration and mediation to get things in the best of the interest of its clients. Private and public entrepreneurs and businesses can benefit from Zukowski Bresenhan & Sinex and be sure of attaining their business objectives in the best possible manner. Clients can get assistance from this law firm to create a business or adapt to change. Also, they can benefit from Zukowski Bresenhan & Sinex to dissolve a business, draft legal documents or get in-house corporate counsel. Those who want legal advice concerning debt collection can also get in touch with this law firm. U.S. News and World Report ranked Zukowski Bresenhan & Sinex as a National Tier 1 firm and a Houston Tier 1 firm in Oil & Gas Law in 2010. You can reach out to this law firm and be sure of a win win situation for your business.  Q:What areas of Employment Law do the attorneys at Zukowski Bresenhan & Sinex specialize in? A:The attorneys at Zukowski Bresenhan & Sinex specialize in a number of areas of Employment Law. The firm offers comprehensive legal services in Employment Discrimination, Employment Benefits, Disciplinary Matters, Invasion of Privacy, Defamation, Texas Workforce Commission Hearings, and Sexual Harassment cases. The attorneys at Zukowski Bresenhan & Sinex have extensive experience in this area of law and have been responsible for acquiring a number of favorable verdicts for their clients in the past. Q:Do attorneys at Zukowski Bresenham & Sinex LLP deal in custody and visitation cases? A:Yes, custody and visitation cases are an integral part of the family law practice at Zukowski Breseham & Sinex LLP. In addition to this, the firm also deals extensively in pre nuptials, post nuptials, complex financial issues and valuation and distribution of assets. The firm has Maurice Bresenham Jr. and Janna Ivey Lindig as dedicated legal representatives for family law cases. Both of these attorneys have a combined experience of more than 30 years in family law litigation.